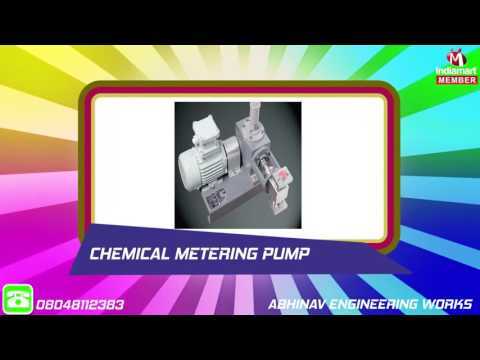 Established in the year 1996, Abhinav Engineering Works is amongst the reputed organizations indulged in manufacturing, supplying and service providing a world-class collection of Chemical Dosing and Agriculture Water Pump. Some of our offered products are Dosing Pumps, Chemical Dosing Pump and Positive Displacement Pump. Manufactured making uses of best grade raw material and highly sophisticated tools and technology, these offered products are in tune with the industry set norms and quality guidelines.